Are Banner Ads Dead for Affiliate Marketing? Banners are high converting for remarketing, display, email and other forms of marketing, but when it comes to affiliate, many people pass them up. For good reason too. There’s banner blindness (people naturally ignoring them), ad blockers which recognize them as ads so they get blocked, and poor design quality as they’re made for lifestyle, branding or to balance like artwork so they blend in with the site and the purpose gets ignored. But that doesn’t mean they can’t or do not work. It is true they may not perform as well in most cases as in text or product links, but that’s because the affiliate normally treats banners differently. There’s no pre-selling, value statements, proper placements, etc… And that’s what this post is about. Banner ads are still important for affiliate marketing because they do in fact work. You just have to know how and where to use them or have an affiliate manager that knows how to monetize and do SEO. You also need good design (not pretty, lifestyle and art wise) and proper strategy based on the specific situation or scenario which includes a traffic and SEO analysis. There is not a one size fits all banner strategy, but this post will give you what you need to know to audit your affiliate banners and some ideas to help get you started implementing them so they may be able to work for you too. I do this regularly with some of my monetization plans for clients, and banners are almost always a part of it because they do work. [Read more…] about Are Banner Ads Dead for Affiliate Marketing? Page speed and site speed are very different even though they get lumped together. They both impact conversions, UX and pageviews, and this summer page speed becomes a ranking signal while site speed is still a good practice. Here are the differences between the two and how to begin working on both to help improve site performance, organic rankings and conversions. (note, the links in this post are advertisements (affiliate links). If any of them aren’t, I’ll change them out once a program becomes available). Site speed is the speed at which your site loads as users go through it. From the time the page renders to the click through and finally users converting in your shopping cart or lead form. Site speed is about rendering, pre-rendering and seamlessly guiding people through the various important paths and funnels you define within your site. Caching the site properly (I use this for wordpress sites) you can save 15% with code Adam15. Page speed refers to decreasing the load time of a specific page on your website or blog. It is similar to site speed, but when looking at page speed you focus on specific on page attributes and optimize their performance. This could be important for rankings because if the user is on a non-internet connected mobile device and the content is equal, if one page loads in 10 seconds and the other in 5, the 5 second load time is the better user experience and therefore should be given the priority and ranking. Now that we know what the differences are between the two and have a few starting points, it’s time to figure out where to begin implementing. This year has been especially busy with red flag emergencies. Sites that once produced sales or businesses whose leads stopped overnight wake up and see nothing, then hit panic mode. Do not be one of these business owners, instead read this post and process the situation before reacting. Although there is not a one size fits all solution, I help companies with this regularly and am going to share some of the ways I approach these situations before developing a custom plan and strategy unique to theirs. Use these steps as a starting point and to help trouble shoot a way to work through the issues you’re website is facing. If they don’t work, feel free to contact me using the form on the right and I can help to troubleshoot with you. Now let’s go into more detail on each. 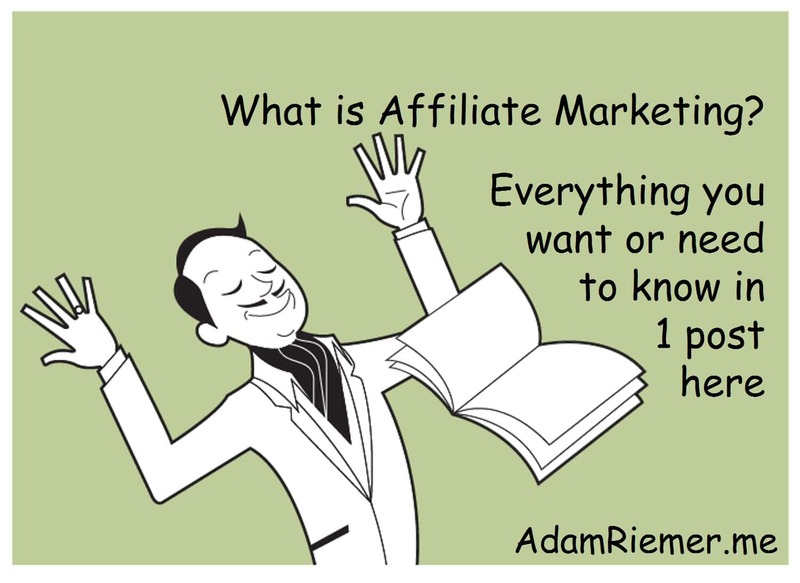 By definition – Affiliate Marketing is a sales channel made up of three parts. Affiliates who drive the sales, affiliate programs which are the offers or stores the affiliates promote and affiliate networks which provide the tracking and payment platforms that connect affiliates with affiliate programs. Now if you’re ready to learn everything from terminology to how much you can expect to make as an affiliate, or even if an affiliate program is right for your company, then read through this post. It is question and answer style and will be updated as I think of more relevant sections or as you request them (assuming they’re a fit). If you can’t find the information you’re looking for, use the contact form or leave a comment below and I’ll try to add it to the post. [Read more…] about What is Affiliate Marketing? To get a blog post, how to guide or webpage to rank in the search engines, you have to start with the formatting. Backlinks and architecture can be important, but it is the formatting of the page that will really help to rank it. Don’t get scared of some of the words below, there are plugins for the IT parts. These posts are where affiliates can make money, bloggers can build a following and stores can drive sales. The big brands will have red tape which gives you the advantage to make these changes and take the market share for your niche back.